The advent of the internet and the maturation of social media mean that we are more connected than ever before. The writer Frigyes Karinthy wrote about six degrees of separation in 1929, but new research by Facebook suggests that number is closer to 3.57. That means everyone or at least everyone on social media, is connected to everyone else by an average of three and a half people. The greater number of ‘voices’ in the crowd means we must find new ways to stand out; we must become better at communicating in creative and memorable ways. And navigating an ever-expanding number of relationships requires us to learn and remember ever more information. New technologies often require new decisions—ones that can force us down paths that become impossible to escape. A powerful example: the dimensions of railroad tracks. The London rail system was initially designed to have narrow tracks and matching tunnels. Nowadays these tunnels cannot accommodate air-conditioning since there is no room to ventilate hot air from the trains. Consequently, residents of one of the world’s wealthiest cities have to endure stifling trains because of a design decision made over a century ago. The digital technology situation is often worse; interdependencies and interconnections grow at exponential rates, resulting in technological ‘lock in’. The technologies which created these challenges cannot, in principle, provide adequate solutions. Solutions to these new relationship challenges must thus come from different quarters. Every year, men and women from around the world assemble to compete at the World Memory Championships. These ‘mental athletes’ compete to see who can memorize the largest volume of information in the shortest time. The best among them perform astonishing feats of high-speed learning. One world record involved memorizing a list of 125 random words, in order, in five minutes. Another athlete memorized the order of 1800 digits in 30 minutes. These athletes were not born with their abilities. Rather, they employ a small set of mnemonic techniques that can be easily learned and applied to any subject. Anyone can learn to think and remember like a memory athlete. The techniques used by these remarkable individuals originated over 2,500 years ago. They are known as the ‘Art of Memory’ and leverage the fact that we learn some things more easily than others. For instance, you are probably able to visualize a route through your own home. You may even be able to mentally revisit a place you grew up in but haven’t been back to in ten years—and all this in spite of the fact that you never made a deliberate effort to learn these locations. Encoding information visually and spatially is a useful skill. For instance, to remember that the French word for horse is cheval, you might visualize a horse digging a hole with a shovel and mentally place this image outside your front door. Other images could be put in other rooms and subsequently recalled by mentally wandering back through your home. This technique, known as the ‘Memory Palace’, was used by the Malaysian memory champion, Dr Yip Swee Chooi to memorize a 1774 page Chinese-English dictionary. The same principles which can support our own learning can be put to work in making our own messages maximally memorable—to make them stand out. Do you remember the French word for horse? Do you think you’d be able to recall it so easily if you’d simply been told what it was? Memory athletes are masters at creating distinctive, memorable stories. In doing so, they are capitalizing on a principle known in psychology as the Van Restorff Effect, which predicts that items which “stand out from the crowd” are more likely to be remembered. Being an effective memorizer then, requires the ability to generate new and interesting ideas. The benefits of memory training go beyond the improvements in recall. There are many metaphors for how memory might work. People often think of it as a filing cabinet, or a library or computer database. Memory, however, involves a lot more than storage and retrieval; it’s a cutting-edge laboratory. It’s where we make new discoveries and where the alchemy of coming up with new ideas takes place. This process is rarely methodical. It isn’t simply looking up bits of data. It’s about spotting associations between seemingly disparate ideas to generate novel insights. And like any laboratory, your memory needs materials to work with. 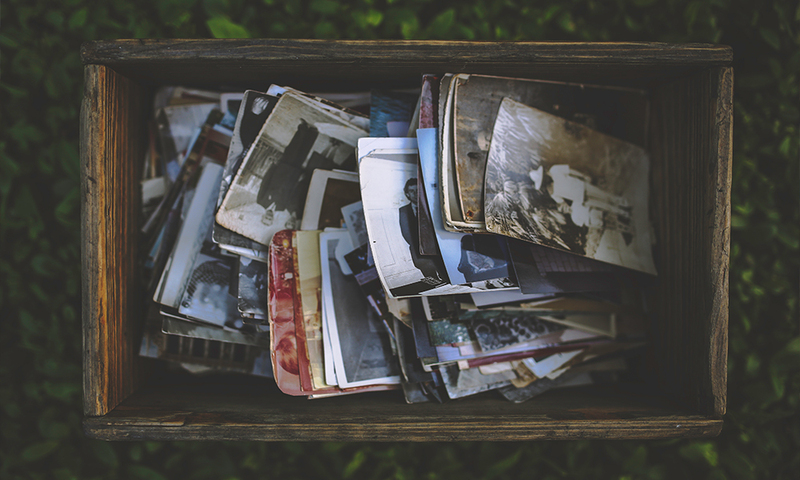 Enriching your memories with the aid of memory techniques means that you’ll have the resources to generate new ideas and stay ahead of the competition. For these purposes, our digital memory/recording devices are still woefully inadequate. These techniques can also help us keep track of our personal and professional relationships. Many of us struggle, unaided, to remember people’s names. Memory athletes, however, can learn hundreds of new names and faces in minutes. Here again, the secret is to create visual associations. To remember that somebody’s name is James, try picturing yourself wrapping chains around their head. ‘Chains’ sounds enough like James to work as a mnemonic, but the key is to make it visual, to make it memorable. The world is changing at an ever accelerating pace. We need to keep up with all the new information and with all the new people. The solution will not come from current technologies. It will come instead from a shift in thinking, from learning to think like a memory athlete—by using the art of memory.